This entry was posted on March 10, 2012 by Russell Smith. 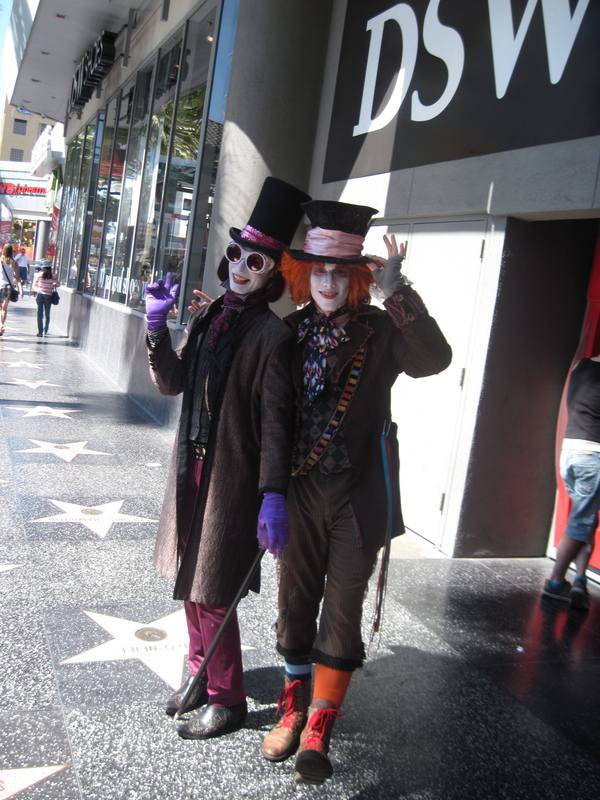 It was filed under Street, Urban and was tagged with Characters, Hollywood and Highland, Mad Hatter, Russell Smith. Oooohhhhh! Where’s the Oompa Loompas? 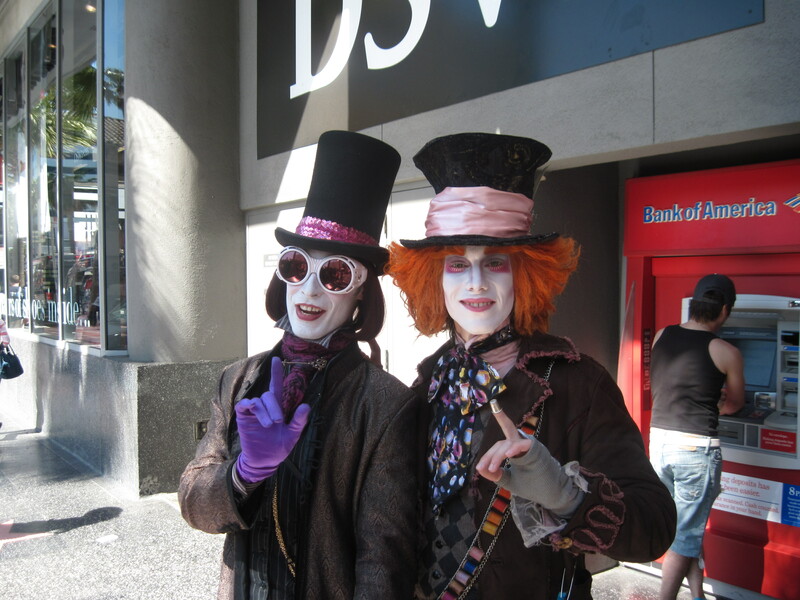 One is the mad hatter and the other is Charley. friends? I tell ya I’m so outta the loop it’s just sad. Love it! Great pic. Love the thimble. The guy at the ATM is not paying (pun intended) attention. I’m in Hollywood which is an amazing venue!